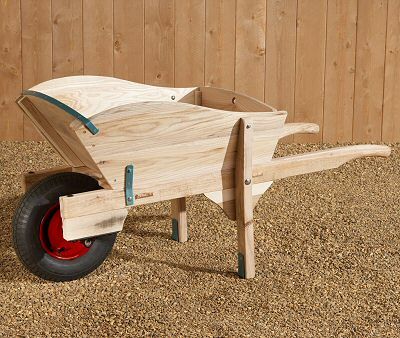 Delivered to a Gloucestershire garden, made famous by its organic master, this wheelbarrow has majestic qualities! Appearing in the Stubbs 1886 catalogue, this totally traditional barrow, constructed from elm boarding and ash framing has only been modernised by its wheel. Now on a long-lasting 4-ply pneumatic, it is easy to push and is a real workhorse, as well as being most attractive. 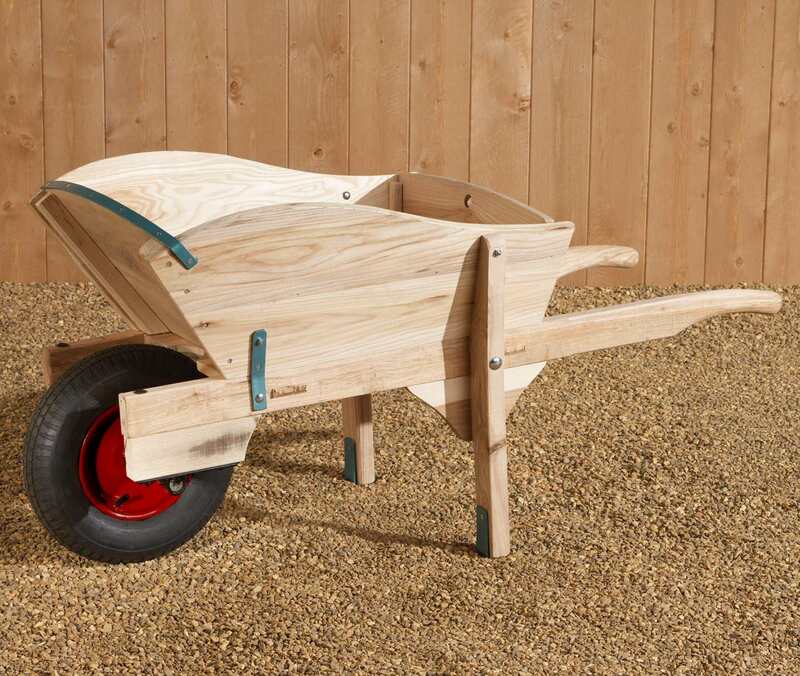 The Stubbs traditional wooden wheelbarrow is a design classic from the late 19th century. First appearing in their 1886 catalogue, the design of their "Craftsmen" wheelbarrow has not changed (other than the later use of a high-quality pneumatic tyre). This wheelbarrow is not just for display - this is REAL 19th century quality and has been in continuous production since then. The Craftsman is a magnificent hand-crafted wooden wheelbarrow using the finest traditional materials of ash frame and elm boarding. The orginal price in 1886 was £1/18/6. The timber is varnished. All in all, this is our favourite wheel barrow, and definitely the best you'll find - a real joy to behold - we are very happy to recommend it! Approaching a third century of trolley manufacturing at Progress Works, Stubbs is still family owned. Originating as blacksmiths and agricultural implement manufacturers in 1836, Stubbs is THE British traditional cart manufacturer. Usually sent to UK mainland addresses on a next-day courrier service. Delivery overseas can take a few days longer. We generally dispatch within 14 days of your order. When you input your address details, you can also add special delivery instructions.